Blog For Mental Health 2013 – Infinite Sadness… or hope? I am joining the project to Blog for Mental Health 2013, a project speared-headed by the wonderful A Canvas Of The Minds, where some good friends of mine hang out and come up with brilliant material on mental health issues. I realise this is the second campaign I’ve joined in a week (the other one you can check out on Still Standing Up To Stigma), but I see them as both being important and want to be part of both. Also when my good friend Ruby pledged me, I just knew I wanted to get involved. Blog for Mental Health 2013 is catching on like wildfire. Everyone wants to be part of it and that’s fantastic to see so many bloggers committed to talking about mental health. So here’s what you need to know: This is not an award, but rather an exciting project to get a community of mental health bloggers to show that they are proud of their lives, that they are writing for themselves as well as for those who have not yet found their voices, that they are ensuring no one ever has to feel alone when dealing with mental illness. For me, those are some excellent reasons to be a part of this. The badge that goes with this project, is designed by Lulu and you’ll see that repeated over on the right of this screen. Step two is to link back to the person who pledged me, Ruby Tuesday of I Was Just Thinking. . . and also co-owner of A Canvas Of The Minds. Step three is a short biography about my mental health and what it means to me. My mental health tends to revolve around labels such as Borderline Personality Disorder (BPD) and Depression with frequent visits of Post Traumatic Stress Disorder (PTSD) and eating disorders. That said, labels don’t actually mean much to me apart from a way for me to identify reasons for some of my behaviours, thoughts and feelings. I am me, I have a mental illness, and to me, that’s what matters. Mental illness makes achieving mental health harder than usual. There are extra bridges to cross, there is stigma to face, and there are battles to win. But it is possible. The mental illnesses that I have are with me for life (BPD is part of my personality) but I view myself as having mental health when I can manage the symptoms and live the life that is important to me. Right now, I’m doing that and it makes me happy. It doesn’t mean that there are no struggles, but it does mean I can enjoy mental health just as much as the next person down the street. Am I crazy? Probably. Is it ‘all in my head’? Absolutely, that’s where my brain resides. Is it easy? No, it’s damn hard but living this way is so much more fulfilling than the life I barely existed in over years past. Being part of this project is important to me, because I know how hard it is to live in this society where mental illness is not seen as okay. I want to do my bit to spread the word that it is totally okay. I not only want to make life easier for other people who have mental illness, but I also want to contribute a message that prepares our world to be more accepting of mental illness in the future. May the next generation not have to fight with stigma. May they be able to find the acceptance and peace they deserve. Was that short? Probably not. Sometimes I just can’t help myself. The final step is to pledge five bloggers who have “proven their mettle in my eyes as mental health bloggers”. Hmm. Actually this is a bit that I find hard. I know that it is a way to get other bloggers involved, but personally I don’t want bloggers I could pledge to feel somewhat obligated. I know obligation is not the intention, but I also know how easy it is for some of us to feel obligated. So I’m not going to pledge any, except to say that if you write about mental health, even just some of the time (like me) then please consider getting on board with this project. I honestly believe the more we all speak out about mental health, then the better place we create for ourselves and others to live with mental illness. So check out the initial post – Blog for Mental Health 2013 and get involved. I think your story, your “short biography about your mental health and what it means. . .” is my favorite so far (see, I may not be able to list you first on the blogroll, but I can at least give you that). Mental health is so much bigger than labels and diagnoses, so much more. And I understand why you didn’t officially pledge anyone, actually Kevin over at Voices of Glass felt the same way. It wasn’t meant to be something obligatory (and I know both you and Kevin get that), but perhaps, next year, I might do a better job of explaining, it, and also explaining that it isn’t like you’re expected to write extra stuff for a whole year, you just keep on with what you’re doing (that may have been lost in translation, too). But thank you for including the link to our page and blogroll. It will help me out when I go hunting and pecking for anyone whom I didn’t get notification on (which I didn’t think about until yesterday, but I’ll feel remiss if I don’t, at least a little). Well, in order to be fair to all, and not play favorites, I just made it alphabetical. Easiest way for people to reference it, too! 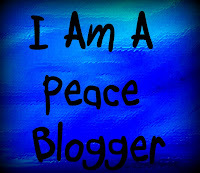 I would love to be part of the Blog For Mental Health 2013. If you could let me know how to get a sponser that would be great, Just like any cause or change, it comes about slowly. I would like to be a part of getting the knowledge out there that those of us with a mental illness are leading, normal healthy lives. Most people would never know that the people around them have a mental illness. I am passionate about this topic. Thanks for sharing the blog and again I would love to join if someone wants to sponser me!! Thanks. I will get to work on it an hopefully have it completed over the next day!! Once I have my blog set up this weekend, as I have been on blog hiatus (had a breakdown of sorts and was dealing with life), I will be back. I am going to proudly dedicate my blog to this amazing cause. I have been looking for something like this for a while now (diagnosed with BPD in March of 2010) … thank you 🙂 this is an amazing thing and I agree more needs to be out there in the public. Heather I am back! My site is now up. I have made the pledge and wrote a wee lil bit about Mental Health. Is this all? I just took the pledge myself and I’m now visiting my comrades blogging for mental health. I look forward to reading more of your posts. Perhaps we can encourage each other. I’d love to be a part of this! My blog is focused toward fighting the stigma attached to mental health – and my own personal battle. Do I need someone to link me or something? Thank you so much! But… I just realised – this was something happening in January, right? hahaha sorry – I am so slow!!! Oh, haha that’s actually a fantastic point! Thank you so so much!!! Pingback: Blog For Mental Health 2014 (Four In Four) | Infinite Sadness... or hope?